There are certain restaurants that open up around the city and instantly seem like they have been here forever. They quickly become part of the community, and serve food that makes almost every new customer into a regular. 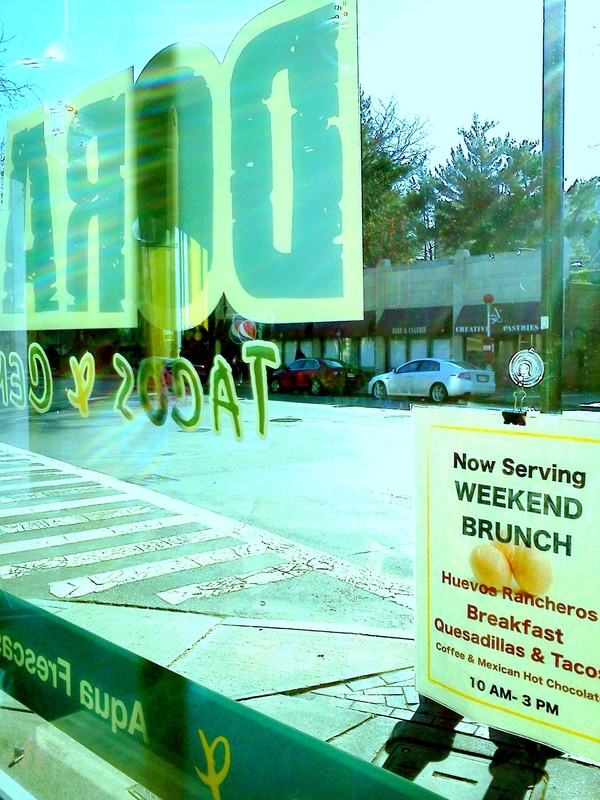 In late 2009, Dorado Tacos & Cemitas opened and became that place in Brookline, MA. 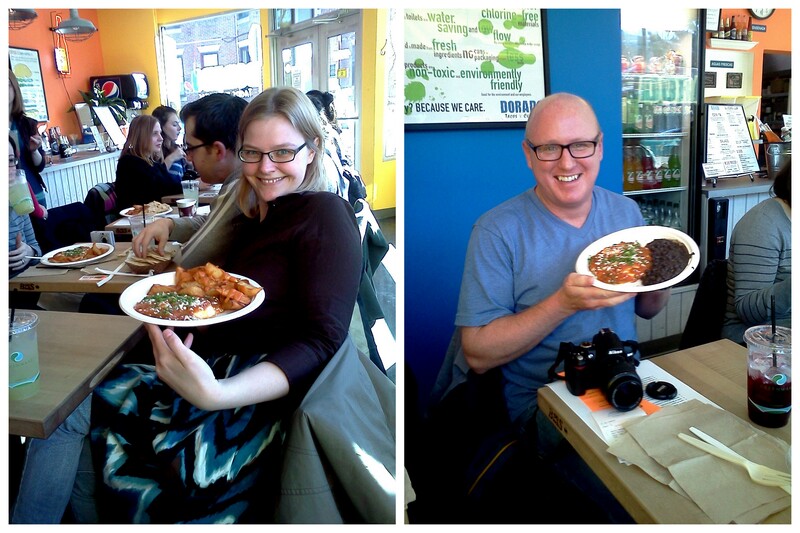 So when the chance came to host a Boston Brunchers event at Dorado Tacos. I was in! Not only does Dorado have amazing, authentic style tacos, but this is exactly the type of local establishment that I love to support. Plus, taco-style brunch?! Yes please! 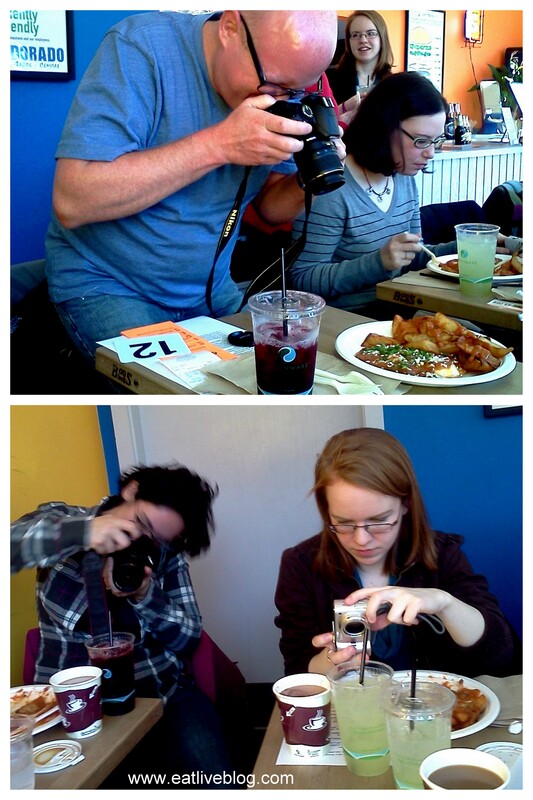 So, on February 6th I was joined by 15 food bloggers to experience a Dorado brunch. But what happens at a Blogger’s brunch that makes it different than other brunches? Well, you get to meet amazing people who you might not have ever met otherwise. I finally got to meet the real life versions of Megan, Meesh, Katherine, Katy, Justin and Nicole. I also got to catch up with foodies Lara, Brian, Josh, Amanda, Jacki, Kathy, Kimmy, Emily and Athena. The fun thing about meeting up with these foodies is that you all enjoy food, are happy to share, and everyone expects their food to sit around and get cold while pictures are snapped! And boy where pictures snapped! When the Cucumber Lime Aqua Frescas, the chicken breakfast tacos with scrambled eggs, salsa fresca, queso fresca & guacamole, the huevos rancheros, the patatas bravas, and the breakfast quesadillas came out, the beauty was captured from every angle! What else can you expect when brunching with the brunchers? Well, foodie announcements of course! Katherine told us all about OMG Red Velvet! 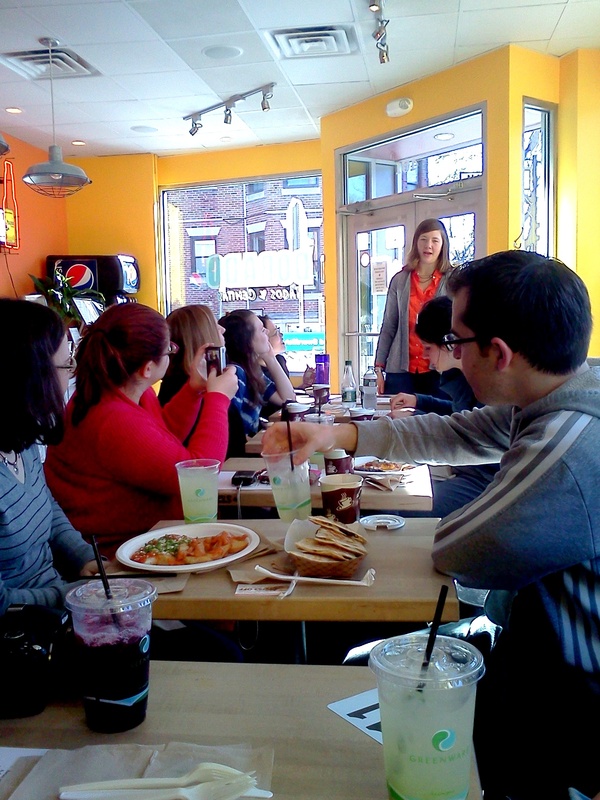 A Pretty Sweet Benefit for Lovin’ Spoonfuls, and I talked about upcoming brunches. But that’s not all, we talked about jobs, home towns, the Backstreet Boys and NKOTB, volcanos and Christmas in Germany, new cupcake shops and how they stack up, and lots of laughs were had. All and all, this was the perfect way to start off the first sunny day Boston has seen in weeks. The company was phenomenal. The food was perfect. And I can not wait to see what the March brunch has in store! This entry was posted in Reviews and tagged blogger event, boston, Boston Brunchers, brookline, Brunch, brunchers, Dorado, Dorado Tacos, mexican, OMG Red Velvet by reneeh. Bookmark the permalink. Again, so bummed to have missed this. I will definitely make sure that I can 100% go to the next brunch! Looks like such a fun brunch! I’m surprised you all fit in there! I was surprised too! I checked with them several times to make sure the #s were right. And we actually fit beautifully. It wasn’t even tight! I had such a wonderful time! Thank you for organizing a great brunch 🙂 Can’t wait to see what March has in store! sounds like so much fun! I am sorry to have missed this one. Thank you for giving us the opportunity to serve such a distinctive and great group of people. And thank you for your generous and detailed comments. Thank you Michael! The pleasure was all ours! So much fun! Now I just need to go to Dorado’s for lunch or dinner! I’ve never been to Dorado but I’ve heard such great things! I can’t wait to hear about the next brunch.